Two days later it returned for a short visit but did not come up the boulders. It posed for many photos, then meandered away. After that, the pelicans resumed their normal habits and stayed on the other side of the river! 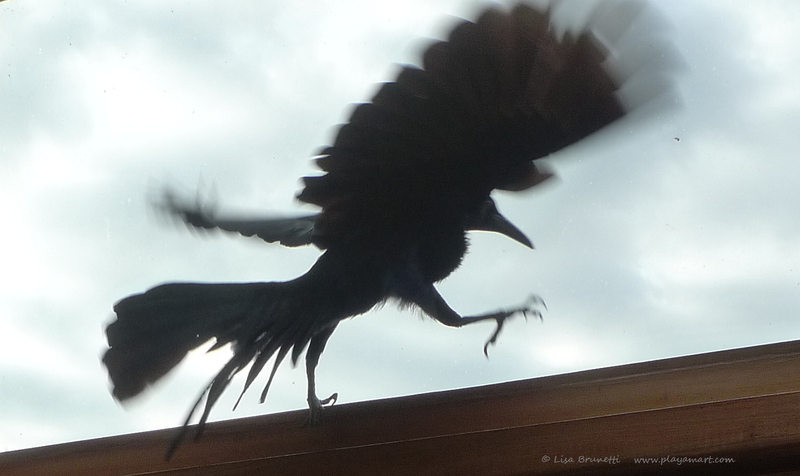 About a month ago a black grackle sneaked into the house via open balcony door! The huge window and translucent roofing panels confused it, though it quickly finally found its way back outside. 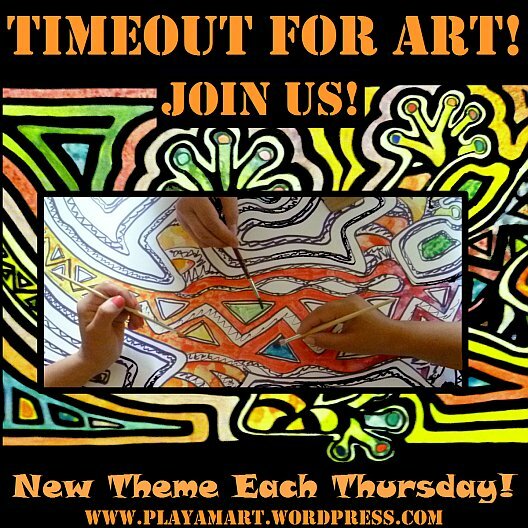 A few weeks ago, a hummingbird spotted the four by six-foot painting of the red and yellow spiral hand and entered through the open window. It took a while for it to find its way back out, but it surely had great stories of warning about bright red pretend flowers in the casa loca! 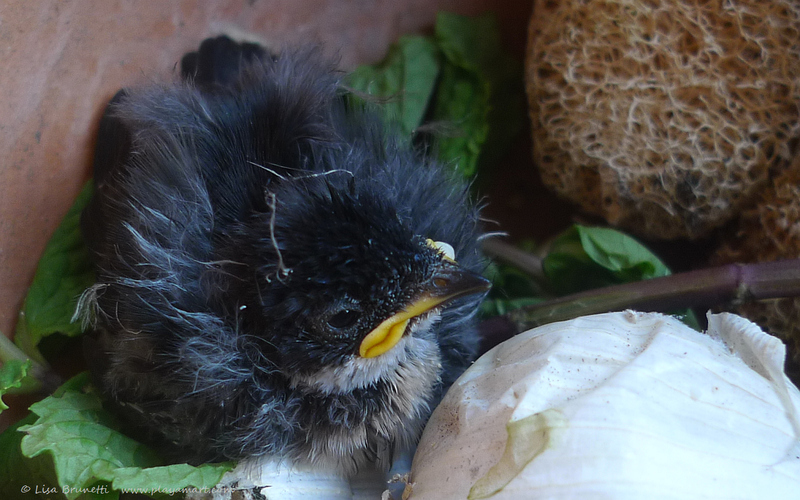 Last week a baby bird found its way into the house! Wrens and swallows nest very near that window. Using the tip of a chopstick, I fed it tiny bits of soft-cooked egg then followed with drops of water, and he/she gobbled the food and drink. With the bird tucked away for the night in an old nest in an orb of pottery, I hoped to wean it back to its rightful home the next morning. Unfortunately baby bird died. – Mother Nature has a way of culling the runts of the litter. The most-recent feathered visitor baffled me. 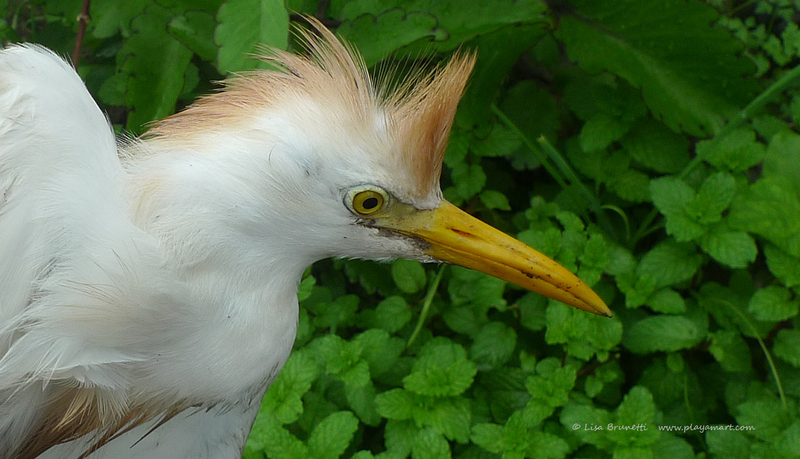 The cattle egret greeted me when I stepped outside the gate to ride with Xavier to town. The bird walked toward the back of Xavier’s truck, which had just rolled to a stop. The bird appeared weak or hurt and had mud on its wings. I cradled it in my hands, checked for wounds and found none, then opened the gate and placed the bird in a less-hostile setting. “I’ll be back soon! I said before leaving with Xavier. The egret was hiding in a dark area of the yard when I returned from town. As with the first time, the egret did not seem alarmed when I approached it. With total surrender, it seemed at home in my grasp, and I took it upstairs for a wound check. It sat in my lap and allowed a close inspection and nipped at me only once! It remained in my lap for half an hour, and I finally set it on the floor. The egret acted as if it were home and began exploring the house! Whenever it tried to jump up or fly, it awkwardly collapsed on the floor. At the end of the day I built a rustic nest from palm leaves in a small tree in the yard. Zeebra Construction provided it a temporary home away from dogs and snakes (perhaps) and mud. The next morning the dear egret was dead. The heavy rains and strong angry currents have washed away many trees along the river. 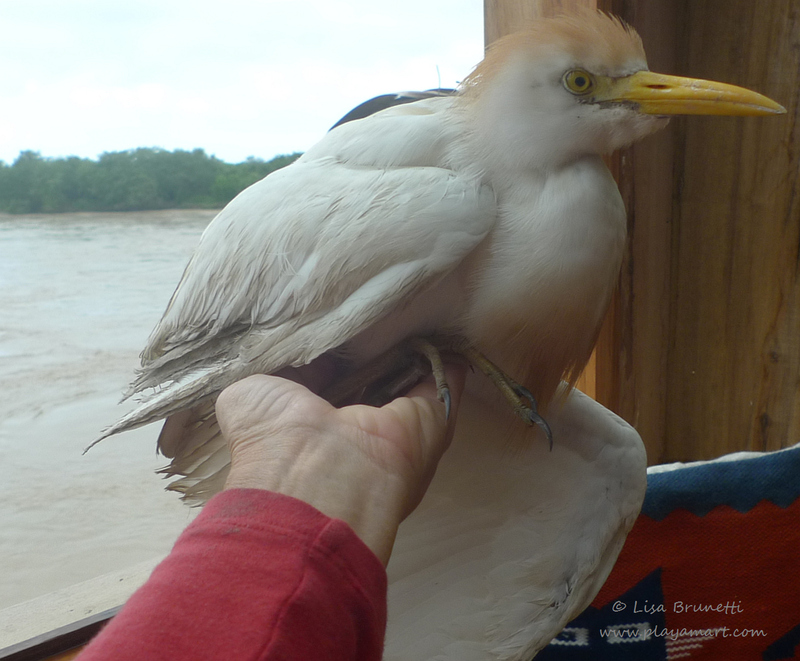 I suspect that the egret took a rolling tumble down Rio Jama and found its way to dry land. What do you think? An odd note to this post is that the pelicans and egrets and frigates claim the area of mangroves across from the house. I noted a few weeks ago that the pelicans had basically vanished from the point. They had evacuated – but why? Now as I watch trees slough into the river each day, I marvel at the pelicans’ intelligence! How did they know, after many years on that point, that they should leave and leave soon? 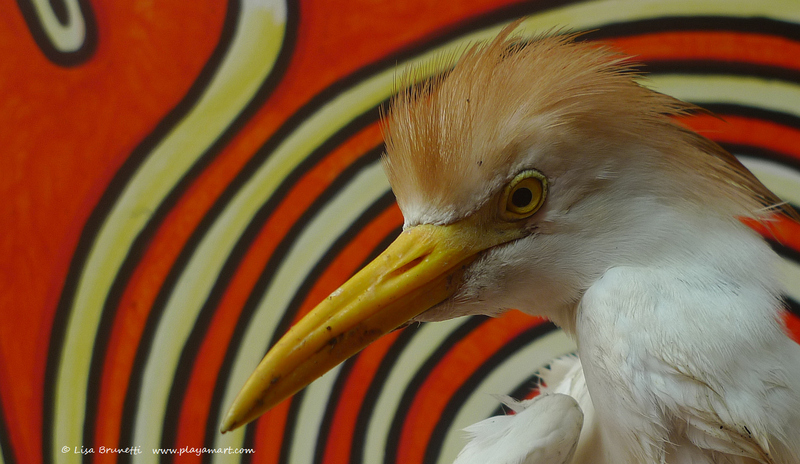 Perhaps the cattle egret was part of a group that stayed behind. Moral of the story: If you are a bird, please don’t come to me if you are seeking medical treatment! If you are dying bird and in search of comfort, you will have my complete attention and empathy. I don’t think you killed them with kindness, but rather showed them kindness when they needed it. thank you, kris! i’ve answered you three times, but my replies surely got tangled with the slow interent. thanks so much for such a kind comment. have a great trip to the usa! The mean season! i like that! the grackles sneak inside whenever possible and try to swipe a morsel of food! i’m considering painting a large floral/botanical to see what happens with the hummingbirds! I totally love this post, for many reasons. It’s so wonderful to hold a bird and to try to care for it, to bridge that gap, if only briefly. You did a good thing, you did what you could, and they had a few extra hours of safety, thanks to you. 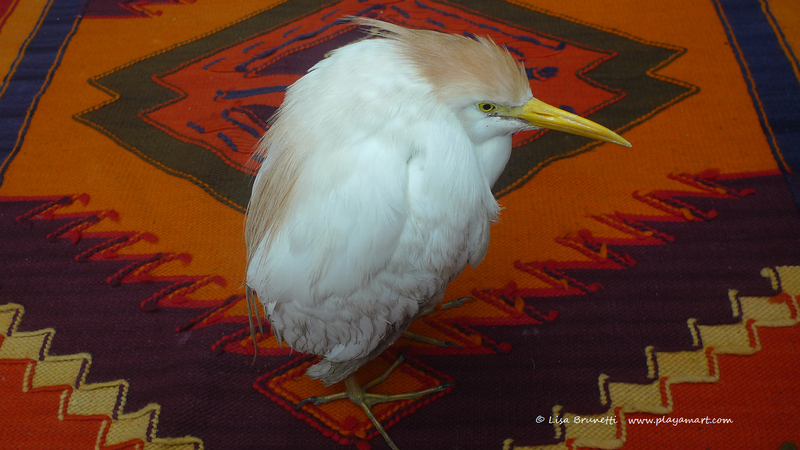 On a purely aesthetic level I love the egret on the rug – what an incongruous and attractive set-up! And I’ve been experimenting with blurring photos, so I’m crazy for the grackle picture – I think it truly captures the bird-moment, better than a “perfect” still photo would. As for the pelican visitation, that was a gift. I always feel that way, when I’m graced with an unexpected presence like that. Lovely and mysterious, and that’s reason enough. it’s late here, and i have been painting and am now doing a fast internet check; the connection is much faster when few people are using the service late at night, and it actually works pretty well! thanks so much for your feedback, all appreciated. 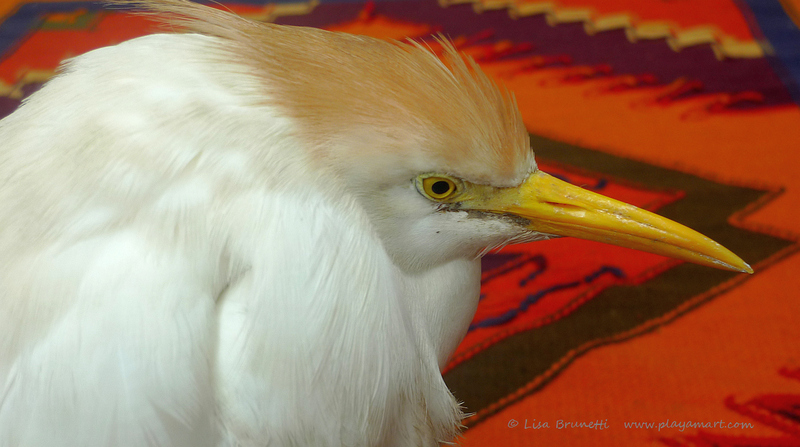 yes, the light colors of the egret against those rich colors in the rug made for an interesting photo. the bird acted as if it had always been my roommate! “lovely and mysterious, and that’s reason enough.” thanks, that’s a lovely thought for a finale for the day! If only everyone had such a deep passion for the wellbeing of the world around them Z as you do, so many of today’s environmental problems would have been encountered only in fiction writing! thank you; that would be wonderful if environmental nightmares happened only in fiction. it would be great if everyone tried to keep their little corner of the world healthy. si, but so tragic that it died as well. when i found it (dead) this morning, i thought, ‘i should have kept it inside so that it didn’t die alone..’ but had i have done that, i would have wondered if it might have lived if it were outside… i’m grateful for some amazing close-ups for reference. A fascinating post. We know so little about birds but in the natural world they can live for a very long time, so I am sure they are extremely clever and great gatherers of intelligence. They will be observing you as keenly as you observe them.If they find you non threatening I see no reason why they wouldn’t try to communicate with you and seek help. Some birds make elegant and beautiful nests; they make think that you do the same. They will be observing you as keenly as you observe them” – that is so true, and they probably know more about my habits than i notice! that is so kind of you to say that. thank you! Ah heartwarming story and photos. It’s sad that the bird died but it would have felt your kindness and experienced your care while it was sick. That counts for so much. thank you; you would have given it equal empathy and concern. 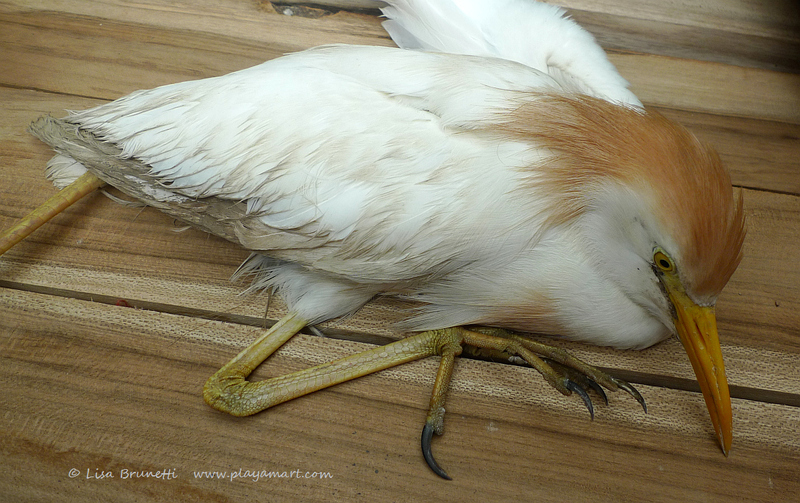 We have tried to rescue injured birds, to no avail. I suppose if they are so weak they let us handle them they are close to death. Sad. that’s a good point, so at least we can offer them comfort! Wow, this is amazing to think that you can not only get this close to wild life, but they must sense they can trust you – allowing you to touch them. So sad that the two guys died, at least in the end they were in a gentle woman’s world and peacefully went. Your photographs are beautiful, especially the close-up of the Egert – the feather colors were wonderful. I’ll bet your are right about the floods destroying their homes. yes, each year the river claims many mangrove trees. some wash all the way out to sea and are hurled back on the beaches. others find a place to cling in the river and start a cycle of new soil-building growth. one ‘anchored’ just upriver from the house, and i am hopeful that another round of strong rapid-like water doesn’t dislodge it. now if we can only get a few to loiter along the sterile area along the rocks! Thanks, though it would be nice to know that I actually helped restore their health from time to time!!! I think the sick ones come to you for some much needed comfort, which you graciously supply. Lovely post. When it’s a living being, just that few moments of contact creates a real connection, doesn’t it? I’m sure you feel the loss, though you knew the chance of salvation was slight. There is something rare and magically beautiful about holding a bird, and you captured that feeling in your descriptions. Thank you! thank you, cindy! the egret was quite special, i suppose because if its lack of fear. it would have been a comfort to have it oversee the garden and decorate it whenever it saw fit! ha! I would probably have better luck at helping a reindeer survive! Fabulous series of birds photos and background info. I dub you a bird whisperer! ha! a bird whisperer who lets her feathered friends die! thanks; i’m glad you enjoyed the post! You have such a dear heart Z! This is a wonderful post! i’m not surprised that you were able to heal an injured bird even when you were young! I am sorry Z … They chose you as their last company….. it is touching.